Owners of small and mid-sized businesses face many daily challenges in running their companies — everything from managing their employees and operations to juggling their finances and keeping the cash flowing. But one challenge that is often overlooked is the challenge of dealing with regulatory surprises that are sprung by government entities and agencies. Depending on your industry, regulatory surprises can have a big impact on your business, possibly resulting in significant damage to the company. For example, The Wall Street Journal 1 recently reported on a small technology company that manufactures apps that was caught unaware when the highest court in the European Union struck down legislation that permitted U.S. businesses to transfer the personal information of European citizens into the U.S. Up to a third of the users of the company’s apps may live in Europe, so this decision could have a serious negative impact on the business. Large corporations have the resources to lobby and negotiate in order to impact regulations and legislation that could affect their businesses in ways that are favorable to them. They can also employ teams of experts to stay on top of these kinds of developments and examine technical and legal solutions well in advance of their implementation — this is what companies like Amazon and Facebook did with regard to the EU app legislation noted above. What industry are you in? Some industries are at greater risk of being impacted by regulatory surprises than others. Companies in the energy and environmental industries, for example, are in constant danger of negative repercussions due to new laws and regulations, as are technology companies and businesses that utilize consumers’ private information, as the example above illustrates. Stay involved with industry/trade member groups and associations. This is one way, at a relatively low cost, to learn of regulatory issues on the horizon well in advance of any effective dates. Do you conduct business internationally? It can be more difficult to stay on top of legislative and regulatory issues overseas than it is to stay abreast of issues domestically. For example, if the federal minimum wage is raised, this shouldn’t come as a big surprise because of all the publicity this has generated here in the U.S. But the overturning of the relatively obscure data transfer law in the E.U. mentioned above would have been much more difficult to know about ahead of time. Do you have access to critical data needed for prompt decision making? Knowing about legislation and regulations that could affect your business is one thing. Knowing how they could impact your company’s operations, revenue and profits is something else — and far more important. The CEO of the small company referenced in the Wall Street journal article was not only surprised by the ruling, he also does not have the necessary data to specifically address and mitigate his exposure, or to judge how severely it will impact him. He is literally flying blind. What government entities and regulatory agencies are you most vulnerable to? This goes back to your industry. If yours is an insurance company, you’ll want to keep a close eye on your state insurance commission. If you have a telecommunications business, pay close attention to what the Federal Communications Commission (FCC) is up to. If you are in the pharmaceutical industry, watch out for actions by the Food and Drug Administration (FDA). And so on. There are many keys to success for a business: great products and services, a solid marketing plan, outstanding employees, and strong financial controls are a few that quickly come to mind. However, all of these things can go for naught if your company is caught off-guard by legislation or a new regulation that threatens your core business. A risk management review is the best way to guard your company against the risks posed by regulatory surprises that can cause serious damage to your company — or in a worst-case scenario, knock you out of business. 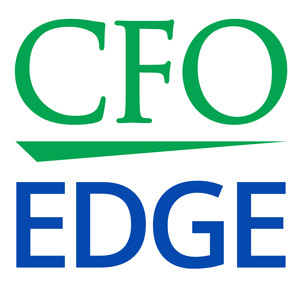 An outsourced CFO services provider can assist you in performing a risk management review by helping identify the specific risks that pose the greatest threat to your business, allowing you to then discuss strategy with insurance and legal advisors to have a plan in place to deal with any surprises. This includes possible new legislation and regulations specific to your industry, like the E.U. regulation that threatens the app manufacturer noted above. The CEO of this company says he plans to try to fly under the radar and hope only the larger companies in his industry are monitored by regulatory agencies. If this doesn’t work and compliance with the new regulation becomes too complex or costly, he said his only alternative will be to shut down the apps. Obviously, this is not a great long-term plan for success for his business — or any business. One overlooked business management challenge is dealing with regulatory surprises that are sprung by government entities and agencies. Depending on your industry, regulatory surprises can have a big impact on your business, possibly resulting in significant damage to the company. Large corporations have the resources to lobby and negotiate to impact regulations and legislation, but most small and mid-sized businesses do not have those resources. The best way to guard your company against the risks posed by regulatory surprises is to perform an ongoing risk management review as part of your normal operating procedures.